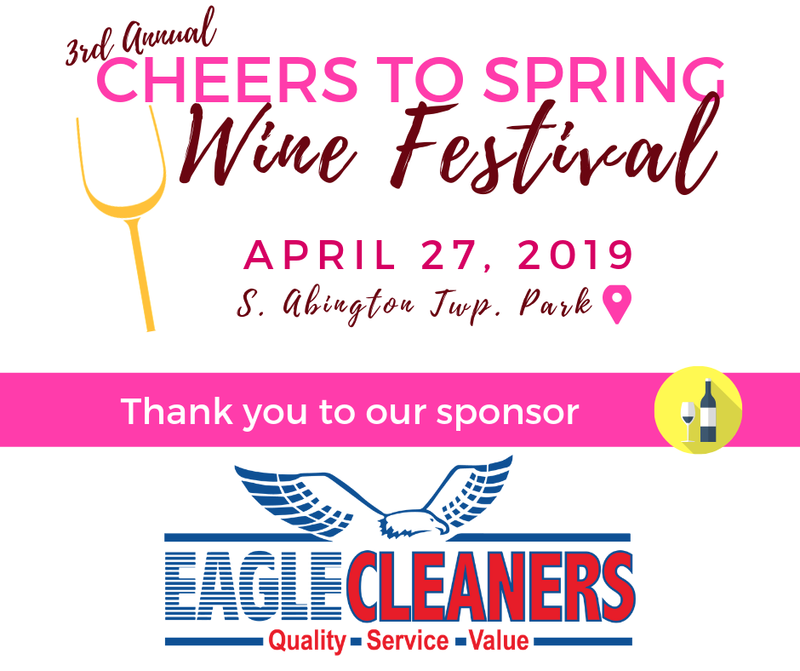 Mark your calendars for April 27, 2019 for the AHCL Cheers to Spring Wine Festival held at the South Abington Park. This fun event will have tasting and shopping from multiple wineries, food and artisan vendors, and music throughout the day. Eagle Cleaners is proud to be a sponsor and will be selling tickets. “We feel it is important to support organizations such as AHCL, Inc. as our way to give back to a community that has supported us so much through the years,” Kathy Croft of Eagle Cleaners said. Tickets will be available at gate for $25, but ahead of time they can be pre-purchased and will be $20 each for regular admission and $10 for designated driver admission. The mission of the AHCL is to advance the welfare of the community through charitable relief including under privileged children and families; promote community resources including the erection and maintenance of public buildings, but not limited to such; promote advancement of the arts, education and science programs and the progress and work of General Federation of Women’s Clubs (GFWC) Pennsylvania. The AHCL is a 501(c)3 organization.